Broadcast yourself to a wider audience! 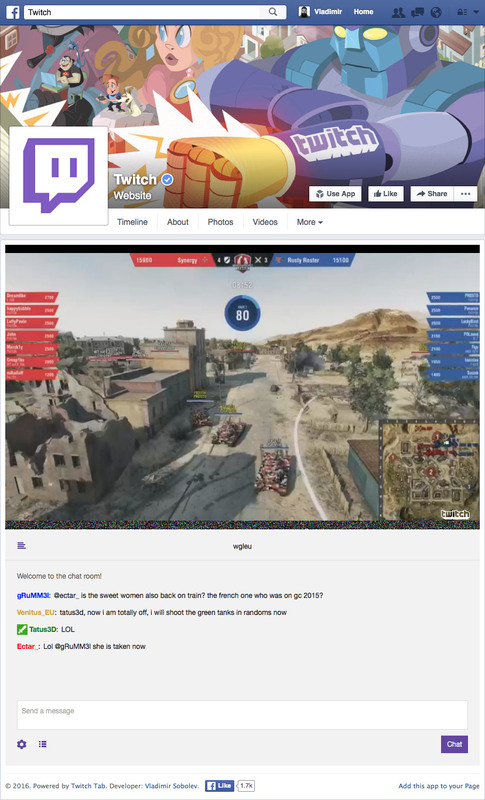 Give your Facebook fans and friends easy access to your most creative work by adding this Twitch Tab for Facebook. Facebook users will enjoy single-click access to live broadcasts, as well as a fully operational HTML5 player with 720p HD playback set as a default. The tab’s simple layout and support for Twitch chat.